The front entrance straight top gate 1.05m high. 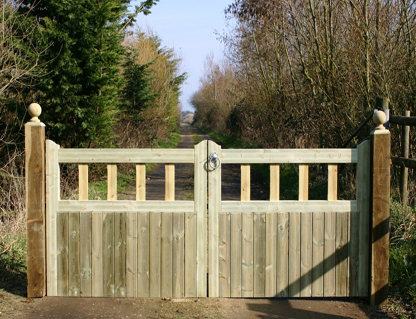 These can be hung as a pair (pictured) or as a single pedestrian gate. They are priced per leaf, therefore if you require a pair please choose a quantity of two.